What is the role of communities in healing our planet? Joel Glanzberg of Regenesis will discuss his work in helping communities to embrace their potential as catalysts for regeneration. It is taken for granted that human activities and settlements will act as a drain on the carrying capacity of the Earth. As a result, conversations about community-level sustainability are largely focused on how to help communities stay resilient in the face of instability. But what if human communities could do more than just protect themselves? What if they could regenerate the health and productivity of the ecological systems that they inhabit? Joel’s work as an educator in the field of regenerative development explores this potential, engaging students all over the world in examining their communities through this lens. Joel Glanzberg will bring an ecological systems lens to the topic of community, and as a faculty member for the Regenisis education program, will also speak about the communities the Santa Fe-based group is working in.Glanzberg is a principal at Regenesis Group, contributing over 25 years’ experience as an applied naturalist to land and community development projects throughout North America. Through assessing, understanding, and communicating the inherent patterns present in natural systems, Joel helps clients and communities identify principles for appropriate and healthy development. As a resource to regenerative development, Joel has worked for a diverse client base including communities, colleges and universities, government agencies, and private developers. He is also a lead instructor in Regenesis’ education arm, delivering The Regenerative Practitioner and Story of Place courses to students all over the world. 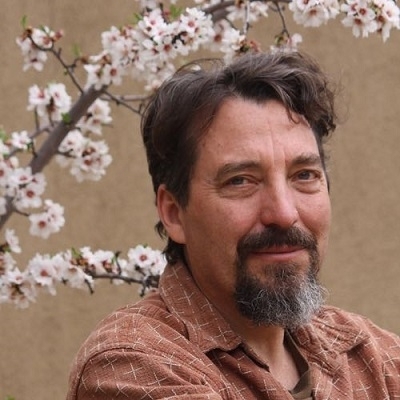 An active author and educator in the fields of permaculture and ecological design, Joel is skilled in cross-cultural communication and teaching. He has taught throughout the United States as well as in Africa, South America and New Zealand, and worked with a variety of Native American tribes and communities.